When you live with a chronic illness, it is hard to make money with a traditional job. 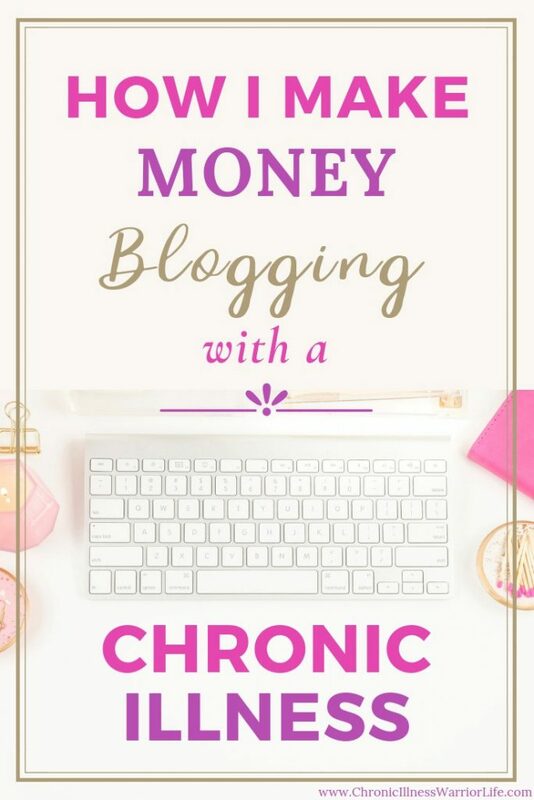 Blogging is a way to make money with a chronic illness from home and easily accommodates the needs you have living with your chronic illness. Read more about why blogging is a great way to make money for people with a chronic illness. I am going to be honest with you. Making money with blogging does not happen overnight. Don’t believe anyone who tells you otherwise. Blogging takes hard work, patience, and time to start generating an income. But it does happen IF YOU LEARN THE RIGHT WAY TO DO IT. This post contains affiliate links. This just means that at no extra cost to you I receive a small commission if you purchase something through the links in this post. This is one of the ways I support my family and blog. Read my full disclosure policy. Learning how to make money blogging with a chronic illness takes hard work, patience, and the right tools. Since you live with either a chronic or mental illness, you are already working hard to live a good life and are very familiar with cultivating patience to accept and make the best of your challenges. You just need the right tools to learn how to make money blogging. The best tool I used to make money blogging with a chronic illness was taking the ELITE BLOG ACADEMY COURSE. 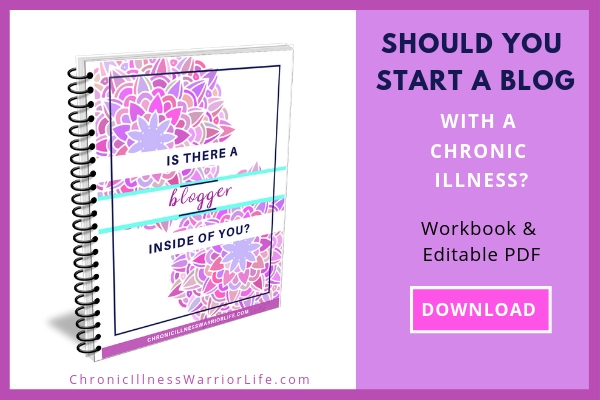 There are some very important things you need to learn how to make money blogging with a chronic illness. And you need to learn how to implement the tools and strategies correctly to start a money-making blog. If you want to get on the fast track to building a blog and an income you can depend on, then you need to take EBA created by Ruth Soukup. I started the Elite Blog Academy course at the same time that I launched my blog. I was lucky because EBA only opens for enrollment once a year and I got on the waitlist just in time. You can join the waitlist here. In fact, just go ahead and do it now (you are not committing to anything and can unsubscribe anytime.) You will thank me later. There, now you’ll start getting a lot of FREE information about blogging that will give you a head start above everyone else. This is a comprehensive blogging course. You will not find another course that covers every aspect of blogging like EBA does. With 4 Modules and 12 Units, EBA teaches you everything from A to Z about blogging. So, just why does Elite Blog Academy help you make money blogging with a chronic illness sooner than you would on your own? You can also start reading Ruth’s book, How to Blog for Profit Without Selling Your Soul. While waiting for Elite Blog Academy to start, I must have read this book 50 times. The pages are dog-eared all over! Elite blog academy is more than just about making money blogging. The founder of EBA, Ruth Soukup, is all about helping others achieve great things. The price tag of the course should be a lot higher, but she didn’t created the course just to gain wealth. She created the course because when she started blogging, there was no one there to guide her. There was a lot of blood, sweat, and tears in building Living Well Spending Less (her lifestyle blog.) But she worked hard, tried different things out and finally found the right strategies to build a profitable blog. She could have easily kept this “Secret Blueprint to Success” to herself. Instead she created a course of immense value and made it so that new bloggers could afford it. I experienced a lot of personal growth by taking her course. She teaches you how to tap into your unique voice to write captivating content that will resonate with your readers. I learned that by being myself I would be more authentic to my readers and grow a strong readership which I could then monetize. And I don’t just mean “making money off your readers.” You help your readers by sharing your own experiences and expertise as well as helping them find the right products and services to meet their needs. That is what successful blogging boils down to – helping others. Living with a chronic or mental illness is hard, but that doesn’t mean you have to live in survival mode. Blogging truly was key to helping me create a life I love and to learn to thrive with my chronic illness. And to top it off I am making money blogging with a chronic illness. And I want you that for you too! Creating a successful blog can provide income and at the same time change your life for the better. P.S. 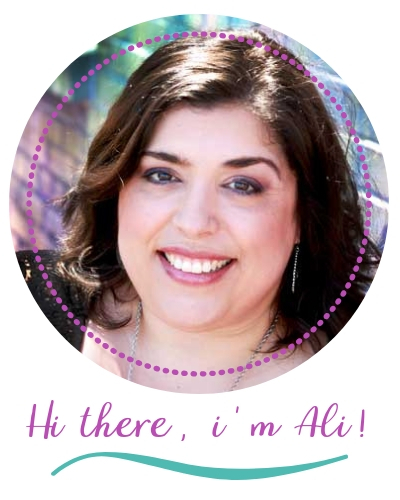 If you do decide to start your blogging journey, I want you to email me at ali@chronicillnesswarriorlife.com and let me know. I am happy to answer any questions as well as be your biggest cheerleader! Need honest reviews of the best blogging courses, products, and services? 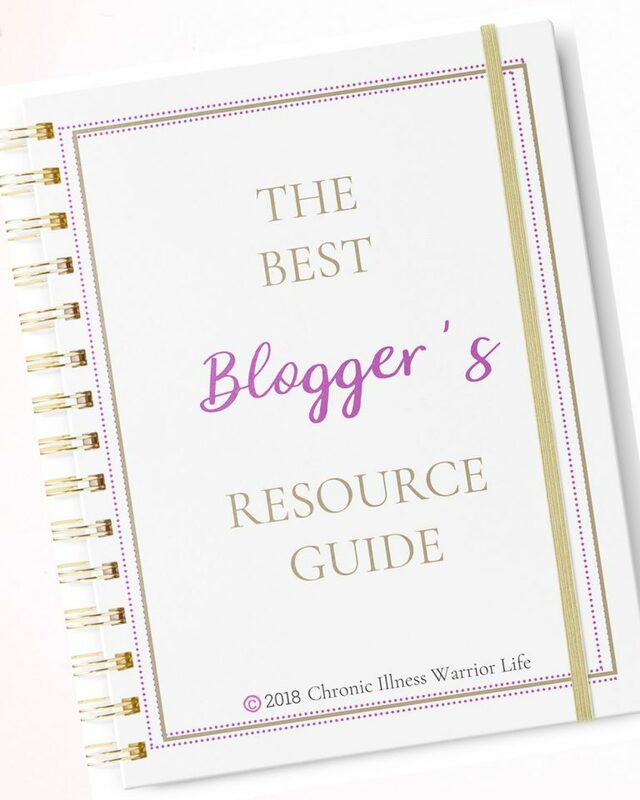 Simply fill in the form below to have THE BEST BLOGGER'S RESOURCE GUIDE sent straight to your inbox!